Do something more extravagant for your special woman's birthday. A romantic dinner is in fact a special treat, but this year go above and beyond the typical birthday dinner. Really bring the romance to make her feel loved on her special day. Celebrate in a way that shows you put some thought and effort into making this birthday a memorable one. Do something extra special for a romantic birthday surprise. Take dancing lessons together for a romantic birthday treat. Surprise her with a day or evening dancing the salsa, waltz, mambo, tango or the cha-cha. She will appreciate the time together, and whether you are great dancers or total beginners, the experience itself will build unity between you two and bring some laughs. Have fun with it, step out and show her the romance of a dancing adventure together. Take a group class or private lessons. If you ever have had the opportunity to ride a traditional gondola down the water canals of Venice, Italy, you would understand how romantic the experience is. Gondola rides, inspired by Venice, Italy, are also offered in many locations around the U.S. Pack some wine or champagne, strawberries and chocolate and take her on a romantic sunset gondola ride. Or, some gondolas provide delicious Italian treats such as prosciutto, tomatoes, mozzarella and dessert. Bring a blanket and cozy up together as you glide over the waters and enjoy the scenery. The gondolier will also serenade you or play classic Italian music to add to the romantic ambiance. Take your sweetheart on a romantic sunset sailboat ride throughout your nearest harbor. Many sailboat rides offer dinner and dancing while cruising the calm waters. A view of the city skyline glistening in the background, combined with a glowing sunset will create a romantic setting for a special birthday. Drink champagne and toast to the special birthday woman while admiring the view and the evening air from the boat deck. 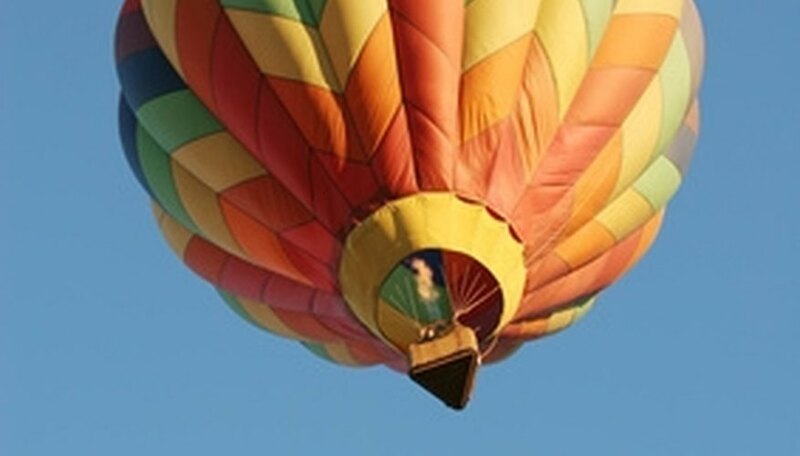 Take the birthday woman for a special ride high above the world on a hot air balloon ride. Choose either of the most romantic times of day -- sunrise or sunset -- to embark on this adventure. Take in an incredible, breath-taking view of the landscape below. This is a once in a lifetime chance to gain a perspective of the world below unlike any other. Pack some champagne and sweet treats like chocolate-covered strawberries. Or, for the morning, bring some hot cocoa. Don't forget a warm blanket and snuggle up together while drifting along the sky. Marino, Andrea. "Romantic Birthday Ideas for a Woman." Dating Tips - Match.com, https://datingtips.match.com/romantic-birthday-ideas-woman-7230512.html. Accessed 20 April 2019.